Senate finally gives green light to creation of "green jobs"
MANILA, Philippines - The Senate approved on third and final reading a bill for the creation and development of "green collar jobs" that will enable the country's transition to a low-carbon, resource-efficient, sustainable green economy. Senator Jinggoy Ejercito Estrada, principal author of Senate Bill 3092 or the proposed Philippine Green Jobs Act, believes that the creation of an army of green collar jobs is a largely untapped employment strategy that should be explored and maximized, given the host of environmental problems we have and the rate of joblessness in the country which remains among the highest in the region. 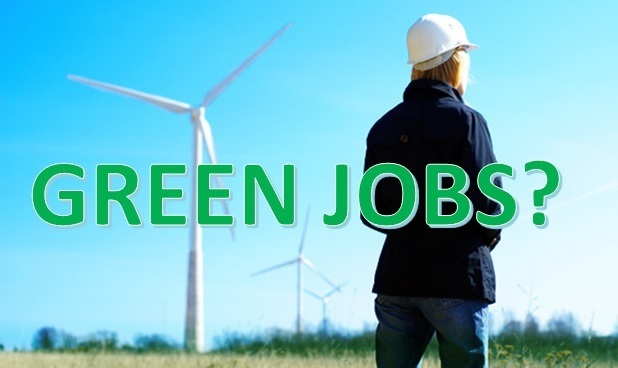 Green collar jobs or simply green jobs are defined as "employment that contributes to the preserving or restoring the quality of environment, in agriculture, industry or services sector." These are jobs that protect ecosystems and biodiversity, reduce energy, materials and water consumption through high efficiency strategies, de-carbonize the economy, and minimize or altogether avoid generation of all forms of waste and pollution. Under Senate Bill 3092, the Department of Labor and Employment (DOLE) is primarily tasked to formulate the National Green Jobs Human Resource Development Plan which would identify needed skills, develop training programs, train and certify workers for jobs in a range of industries, and link green job opportunities with the private and public sectors. "It is high time that the government maps out a comprehensive blueprint and inter-agency cooperation towards mobilizing our workforce and ensuring that they are fully equipped with skills and proficiencies and that host industries are set up towards a seeming global occupational shift to green jobs," Jinggoy, Chairman of the Senate Committee on Labor, Employment and Human Resources Development, stressed. Considered as among the fastest growing green jobs around the world are recyclers, clean car engineers, water quality technicians, urban growers, green builders, solar cell technicians, wave and wind energy producers and workers, and natural scientists. For instance, a report by the United Nations Environment Program (UNEP) says that green jobs could be created in the Philippines through installation and service of retrofit kits which were proven to cut fuel consumption by as much as 50% and emission of air pollutants by 90%. In his version of the bill, Jinggoy said that the government could initially open employment opportunities for tree planters and reforestation rangers, garbage collectors, cleaners and sanitation personnel, and electrification engineers using renewable energy. Incentives like special deduction from the taxable income and duty-free importation of capital equipment will also be given to business enterprises who shall participate in the green jobs creation and sustenance. Also, government financial institutions in consultation with the Bangko Sentral ng Pilipinas (BSP) shall provide preferential financial packages to companies that create green jobs. The DOF, DENR, DepED, CHED, TESDA, NEDA, DTI, PRC, DOST, DOTC, DOT, DPWH, and the Climate Change Commission were given specific roles in outlining regulations and implementing plans towards a more integrated approach to achieving a green economy. Senate Bill 3092 is a substitute bill which consolidated important provisions contained in SB 2315 by Sen. Estrada, and SB 2893 by Senators Loren Legarda and Sonny Angara.